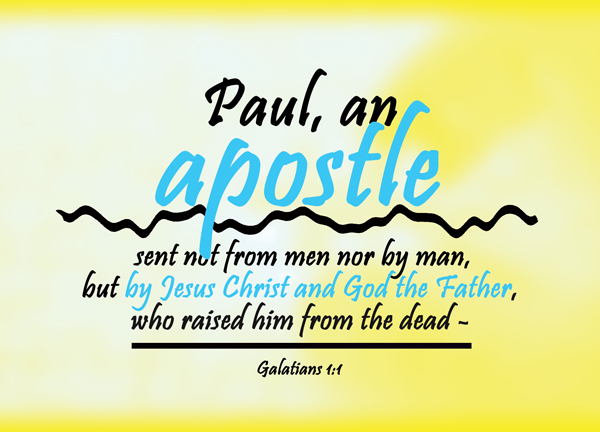 In Galatians, Paul is called by God by revelation from Jesus Christ to take the Gospel to the Gentiles. Galatians 1:12 I did not receive it from any man, nor was I taught it; rather, I received it by revelation from Jesus Christ. The Gospel, up until this point, had only been preached to the Jews. Paul states that he did not consult any human being on the matter…but rather, went into Arabia before returning to Damascus. Paul did not return to Jerusalem for 3 years. There he met with Cephas and visited with James, the Lord’s brother. He then goes to Syria and Cilicia. After 14 years, he returned to Jerusalem with Barnabas and Titus. Galatians 2:2 I went in response to a revelation and, meeting privately with those esteemed as leaders, I presented to them the gospel that I preach among the Gentiles. I wanted to be sure I was not running and had not been running my race in vain. Paul stated in the beginning of his letter that the revelation he received was from Jesus Christ. But, yet we see in chapter 2, verse 2, 17 years after receiving the revelation and even already starting on the task, that he was still uncertain whether or not he was doing the right thing. Paul is a man who wrote most of the New Testament and yet we see he still had his doubts as to what the will of God was for his life. He had received a revelation directly from Jesus Christ but still needed confirmation. So, he met privately with men, esteemed as leaders, to confirm what he already knew. And confirm they did. Galatians 2:7-8 On the contrary, they recognized that I had been entrusted with the task of preaching the gospel to the uncircumcised, just as Peter had been to the circumcised. 8 For God, who was at work in Peter as an apostle to the circumcised, was also at work in me as an apostle to the Gentiles. The revelation is given of Jesus Christ to further the Gospel. The end cannot come until ALL have heard…this revelation still continues today!